We (Sarah and Adam) continue to reside in Wichita, KS. We are so thankful to be parents to two little ones, Eliana Beth (2) and Seth Michael (1). We love the Kansas prairies, the big open sky, our community and neighbors, our friends and our work. 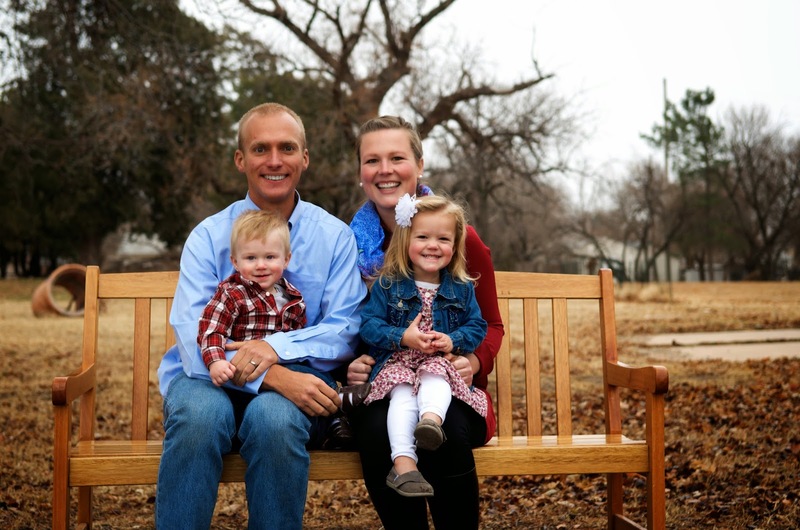 Adam works as a pastor for the Friends church and does event planning and mission coordinating. His job takes him to all four corners of the earth on a regular basis! Sarah is learning many new skills - like how to get a car seat out of the car without the Kansas wind blowing the door into the next car and how to put two children in the car without one running away! When there is time left over, she loves to design with Adobe and help with the communication side of the Friends church. Mostly, we are very thankful for the gift of God-with-us, never leaving us, never forsaking us. We have much to learn, many dreams to actualize, but we are reminded that amidst all of the occupations of life, we desire to have the faith of a child and dwell in the love of God and live out of his love. Pray for us that we will not run the race of our life in vain, but that we would always press onward and seek wholeheartedly the Kingdom of God first. We are so blessed to know all of you that will read this. You have each touched our lives in beautiful ways and we do not underestimate the gift of being a part of community with you. We truly thank God for you when you come to mind.